I love it when I learn that tools I’m already using can be used in better ways. 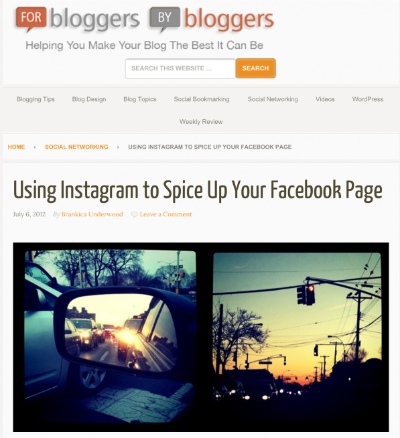 For bloggers by bloggers posted instructions on how to get your Instragram account/app to post photos to Facebook pages. That’s a very nice way to get photos up on your Facebook page timeline (and Facebook is all about the images and links these days).